Cobalt 27 Capital Corp. (TSXV: KBLT, OTCQX: CBLLF, FRA: 27O) is a leading battery metals streaming company offering exposure to cobalt and nickel, metals integral to key technologies of the electric vehicle and energy storage markets. 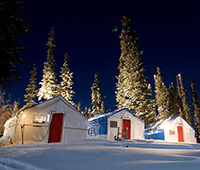 The Company owns 2,905.7 Mt of physical cobalt and a 32.6% Cobalt Stream on Vale's world-class Voisey's Bay mine,‎ beginning in 2021. 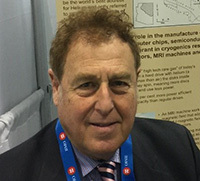 We learned from Anthony Milewski, Chairman, CEO, and Director of Cobalt 27, that they have royalties across some of the major battery metals development assets globally, including Giga Metals’ Turnagain and Dumont, in Canada, and they are currently closing a deal on a new joint venture interest in the producing Ramu nickel-cobalt mine, a large, long-life, low-cost, high-growth nickel-cobalt operation in Papua New Guinea, which is one of the best nickel-cobalt projects in the world. 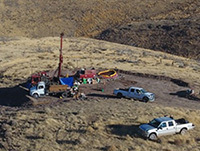 U.S. Gold Corp. (NASDAQ: USAU) is a U.S. focused junior gold exploration and development company with two flagship assets: The Copper King gold-copper-silver-zinc project located in Southeast Wyoming, and the early stage Keystone exploration property on the Cortez Trend in Nevada, 10 miles south of Barrick Gold's Cortez Hills Mine. 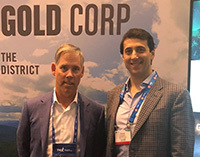 We learned from Edward Karr, President, CEO and Director of U.S. Gold Corp., that Copper King's PEA shows a pretty robust resource with $178 million NPV, and IRR of approximately 33%. According to Mr. Karr, 2018 was a transformative year for their Keystone property, where they are potentially very close to making a discovery. Newmont Mining Corporation (NYSE: NEM) is a leading gold and copper producer, founded in 1921, with operations currently in the United States, Australia, Ghana, Peru and Suriname. 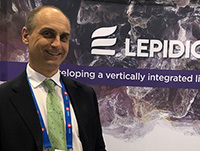 We learned from Omar Jabara, Group Executive for communications, about the combination with Goldcorp Inc. that was announced in January and is expected to close in the 2nd quarter of 2019, to create world’s leading gold company. The combined Company will have the world's largest gold reserves and will be able to deliver production of between 6 to 7 million ounces of gold a year over year for at least two decades. Mr. Jabara also discussed an inferior, unsolicited proposal from Barrick to acquire Newmont. 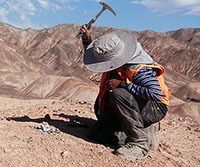 Golden Arrow Resources Corporation (TSX-V: GRG, FSE: G6A, OTCQB: GARWF) is an exploration company earning production income and is a member of the Grosso Group, a resource management group that has pioneered exploration in Argentina since 1993. 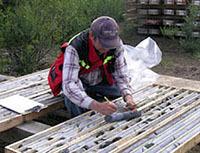 Golden Arrow owns a 25% share of Puna Operations Inc., a joint venture operated by SSR Mining, with more than 8 years of forecast production and upside potential at the Pirquitas-Chinchillas silver mining project. We learned from Joseph Grosso, who is Executive Chairman, CEO, and President of Golden Arrow Resources, that the Puna Operations will meet its first year projections. According to Mr. Grosso, the Company is focused on drill-ready targets on their advanced projects to achieve discoveries as quickly as possible. Canada Rare Earth Corp. (TSX.V: LL) is generating revenues and gross profits as it develops an integrated, international commodity supply chain business based on the rare earth industry and with increasing attention directed to valuable by-products. The business involves sourcing, adding value and selling rare earths and other mineral products in all stages and forms utilizing proprietary, affiliated and third-party sources and facilities. 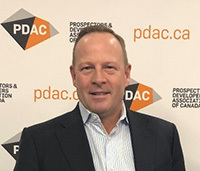 At PDAC 2019, we learned from Mark Jarvis, President and CEO of Giga Metals Corp. (TSX.V: GIGA, OTC: HNCKF, FSE: BRR2), that they are currently advancing their world class Turnagain nickel-cobalt project to the pre-feasibility study stage. Giga Metals recently sold a 2% NSR on future cobalt and nickel production at the Turnagain Project to Cobalt 27 Capital Corp. (TSX.V – KBLT) for US$1 million in cash and 1,125,000 shares of KBLT. Near term plans include a new resource model and getting their capex down. According to Mr. Jarvis, Giga Metals will be producing a high-grade, class one nickel concentrate for the battery industry, with a significant cobalt by-product credit. 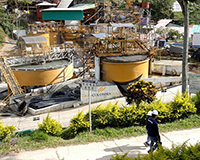 Gran Colombia Gold Corp. (TSX: GCM, OTCQX: TPRFF) is currently the largest underground gold and silver producer in Colombia, with several mines in operation at its Segovia and Marmato Operations. 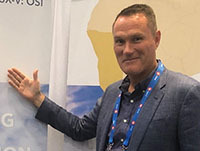 At PDAC2019, we learned from Mike Davies, Chief Financial Officer of Gran Colombia Gold, that they have been producing over 200,000 ounces of gold a year and expect 210,000 to 225,000 ounces of gold this year, most of which is largely coming from their high-grade Segovia operations. According to Mr. Davies, Segovia operations have large upside potential. In 2019, the Company plans to raise money to increase its high-grade resource via step-out and brownfield drilling. We learned from Mr. Davies that with the current political changes in Venezuela, Gran Colombia hopes to be able to return to the country and reclaim some of the gold projects that were nationalized in 2011 by the government. Nicola Mining Inc. (TSX.V: NIM) is in the process of recommencing mill feed processing operations at its 100% owned state-of-the-art mill and tailings facility, located near Merritt, British Columbia. 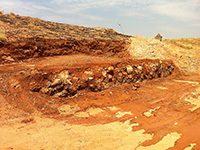 It has already signed four mill profit share agreements, with high-grade gold producers. The fully-permitted mill can process both gold and silver mill feed, via gravity and flotation processes. 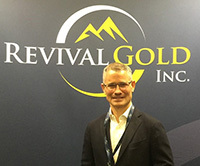 At the 2019 Vancouver Resource Investment Conference, we learned from Peter Espig, the CEO of Nicola Mining, that they are the only site in British Columbia that is permitted to accept gold and silver material from anywhere in the Province and they will commence gold production in 2019. 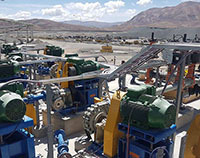 The mill is situated, within the company's 100% owned New Craigmont Project, North America’s highest grading historic copper mine, located approximately 10 kilometers west of Merritt and 20 km south of the Highland Valley Operation. According to Mr. Espig, the mine is low-cost, thanks to the developed infrastructure, cheap power and water, and warm weather. 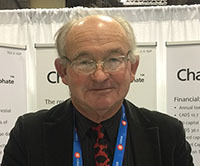 Plans for this year include commence gold production at the Merritt Mill, and releasing the 43-101 resource on the New Craigmont Mine, which will be significant, according to Mr. Espig. TORONTO, April 25, 2019 /CNW/ - Orion Mine Finance announced today that Orion Co-Investments I LLC ("Orion Equity Co-Invest"), a company managed by Orion Mine Finance Management I Limited ("Orion"), entered into a sale agreement for the disposition of 90,000,000 common shares ("Common Shares") of Stornoway Diamond Corporation ("Stornoway") for aggregate consideration of $3,600,000 or $0.04 per Common Share. After the transaction, Orion, through Orion Equity Co-Invest, owns 22,083,596 Common Shares. In addition, Orion, through Orion Co-Investments I (Convert) LLC, another entity managed by Orion, holds US$20,500,000 aggregate principal amount of convertible debentures of Stornoway, which are convertible into Common Shares at any time prior to maturity on July 8, 2021 at a conversion rate of US$0.8863. Assuming conversion of the convertible debentures, Orion's securityholding percentage in the Common Shares is 4.45%. This represents a decrease of 8.87% from Orion's securityholding percentage of 13.32% immediately prior to the transaction. VANCOUVER, April 25, 2019 /CNW/ - Turquoise Hill Resources Ltd. ("Turquoise Hill") (TSX: TRQ) today responded to a recent open letter to shareholders from SailingStone Capital Partners LLC ("SailingStone"). VANCOUVER, April 25, 2019 /CNW/ - Eros Resources Corp. (TSX.V: ERC) ("Eros" or the "Company") is pleased to announce that it has signed a term sheet dated April 10, 2019 (the "Agreement") with Owl Capital Corp. ("Owl" TSX-V: OCC.P) regarding the sale of the Company's interests in the Oro Cruz and Eastgate projects as well as Eros' shareholding and warrant position in Bullfrog Gold Corp. 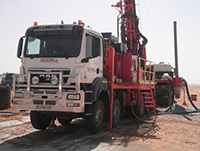 Deep Yellow Limited (ASX:DYL) is pleased to advise that Japan Oil, Gas and Metals National Corporation (JOGMEC), who are sole funding the Nova Joint Venture (Nova JV) in Namibia, have approved a program and budget of $1.05M over the next 12 months for the period ending 31 March 2020. 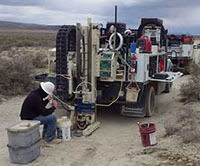 Diversified explorer and near-stage producer, White Rock Minerals Ltd (ASX:WRM), in conjunction with its joint venture partner Sandfire Resources NL (ASX:SFR) (Sandfire) is pleased to announce the commencement of a comprehensive airborne electromagnetic (EM) geophysical survey being flown at the Company's globally significant Red Mountain high-grade zinc and precious metals VMS project in central Alaska. BOCA RATON, Fla., April 25, 2019 /PRNewswire/ -- Europa Manufacturing, Inc, a wholly owned subsidiary of SenTech EAS Corporation and a premier Global OEM supplier of precision metal fabrication located in Boca Raton, Florida, announces Partnership with Axis Communications, SFMA Industry Recognition and FIRST Robotics Technology Sponsorship. 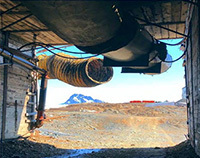 VANCOUVER, April 25, 2019 /PRNewswire/ - Taseko Mines Limited (TSX: TKO; NYSE American: TGB) ("Taseko" or the "Company") is pleased to announce that a first harvest of 3,700 pounds of copper cathode (32 sheets x 117 pounds), was made at the Florence Copper Project. The copper cathode has been assayed at higher than 99.9% copper by Minerals Technology, LLC, an independent laboratory. ZUG, Switzerland, April 25, 2019 /PRNewswire/ -- Solway Investment Group GmbH (Solway) today announced that it has delivered a proposal to Euromax Resources Ltd. (TSX: EOX) (Euromax), which will address Euromax's long-term financing and development requirements (the Solway Proposal) and provides feasible solution to the environmental and social issues the project has faced with. TORONTO, April 25, 2019 /CNW/ - Talisker Resources Ltd. (formerly, Eurocontrol Technics Group Inc.) (CSE: TSK) ("Talisker") is pleased to announce that its common shares will commence trading on the Canadian Securities Exchange (the "CSE") at the open of markets on April 26, 2019 under the ticker symbol "TSK". CLEVELAND, April 25, 2019 /PRNewswire/ -- Aleris is scheduled to announce first quarter 2019 financial results on Wednesday, May 8, 2019. ROUYN-NORANDA, QC, April 25, 2019 /CNW/ - Granada Gold Mine (TSX-V: GGM) ("Granada Gold" "GGM" or the "Company") is pleased to report on the latest encouraging results from a new two-stage gravity concentration process. Low grade gold mineralization of 1.01 g/t was upgraded in the test to 67.99 g/t. DEERFIELD, Ill., April 25, 2019 /PRNewswire/ -- Caterpillar Inc. (NYSE: CAT) will offer a listen-only, audio webcast of its meeting with financial analysts and institutional shareholders, to be held on Thursday, May 2, 2019, beginning at 1 p.m. EDT in Clayton, N.C. Caterpillar Chairman and CEO Jim Umpleby and members of Caterpillar's Executive Office will provide a review of Caterpillar's business and enterprise strategy. MUNICH, April 25, 2019 /CNW/ -- XCMG has concluded a successful exhibition at bauma 2019 in Munich, Germany, highlighting new technologies, cutting-edge products, complete construction solutions and Intelligent Manufacturing (IM) achievements at the world's largest construction trade fair. ORANGEBURG, S.C., April 25, 2019 /PRNewswire/ -- Zeus Industrial Products, Inc. (Zeus), a leading polymer extrusion manufacturer and materials science innovator, has earned the Customer Relationship Management Institute's (CRMI) NorthFace ScoreBoard Award for 2018. Zeus has won this award two consecutive years for achieving excellence in customer service. NEW YORK, April 25, 2019 /PRNewswire/ -- Machinery Leasing Market Global Report 2019 provides the strategists, marketers and senior management with the critical information they need to assess the global machinery leasing market. VANCOUVER, April 25, 2019 /CNW/ - Etruscus Resources Corp. (CSE: ETR) (the "Company" or "Etruscus"), a Vancouver-based junior exploration company, is pleased to announce the launch of its 2019 Phase 1 Exploration Program at its 100%-owned Rock & Roll Project near the past producing Snip mine situated in northwestern B.C. 's prolific Golden Triangle. VANCOUVER, April 25, 2019 /CNW/ - Equinox Gold Corp. (TSX-V: EQX, OTC: EQXFF) ("Equinox Gold" or the "Company") reminds investors that the Company's annual general meeting ("AGM") will be held on May 1, 2019 commencing at 1:30 pm PT. Shareholder votes must be received by 1:30 pm PT on April 29, 2019. LONG BEACH, Calif., April 25, 2019 /PRNewswire/ -- Dana Incorporated (NYSE: DAN) announced today that it will partner with Nordresa to integrate its Spicer(®) Electrified(TM) eS9000r e-Axle on the Isuzu N-Series chassis for commercial fleet applications. This new collaboration is in addition to the companies' existing joint efforts to offer commercially-available direct-drive systems, complete with TM4(®) motors and inverters, on battery electric medium-duty vehicle platforms. LONG BEACH, Calif., April 25, 2019 /PRNewswire/ -- Dana Incorporated (NYSE: DAN) and Motiv Power Systems today announced a collaboration to integrate Dana's Spicer(®) Electrified(TM) eS9000r e-Axle on the Ford F-550 chassis for use in commercial fleet applications. By replacing the traditional mechanical driveline with an electric motor integrated directly into the vehicle's differential housing, the e-Axle provides greater design flexibility for battery placement and truck body attachment. In addition to Dana's e-Axle technology, the chassis features Motiv's proprietary electric powertrain controls. LONG BEACH, Calif., April 25, 2019 /PRNewswire/ -- Dana Incorporated (NYSE: DAN) announced today the launch of its newest direct-drive electric powertrain, the TM4(®) SUMO((TM)) LD. The motor-inverter combination is designed for Class 2 through Class 6 vehicles. The new offering extends the comprehensive TM4 SUMO lineup, which is powering more than 12,000 electrified vehicles today. LONDON, April 25, 2019 /PRNewswire/ -- Restrictions on Chinese imports of Australian coal will increase the price of Chinese domestic coal compared with seaborne coal. If Chinese coke makers struggle to access imported coal, cost competitiveness will worsen compared with coke makers overseas and this will impact their ability to export. JOHANNESBURG, April 25, 2019 /PRNewswire/ -- Gold Fields Limited (NYSE: GFI) (JSE: GFI) is pleased to provide an operational update for the quarter ended 31 March 2019. Detailed financial and operational results are provided on a six-monthly basis i.e. at the end of June and December. NESS ZIONA, Israel, April 25, 2019 /PRNewswire/ -- Nano Dimension Ltd., a leading additive electronics provider for electronics (NASDAQ, TASE: NNDM), announced today that the company's pioneering DragonFly Pro systems have successfully shortened and simplified the assembly process for ball grid arrays (BGAs) and other surface mount technology (SMT) components used for integrated circuits, from days to one hour. This could not be achieved otherwise, due to the extended timelines and typically complex BGA assembly processes associated with traditional production methods. BEIJING, April 25, 2019 /PRNewswire/ -- Recon Technology, Ltd. (Nasdaq: RCON) ("Recon" or the "Company"), a China-based independent solutions integrator in the oilfield service, environmental protection, electric power and coal chemical industries, today announced the Company is now managing the operations of its variable interest entities ("VIEs") solely through its Beijing subsidiary, Recon Hengda Technology (Beijing) Co., Ltd. ("Recon BJ"). TROY, Mich., April 24, 2019 /PRNewswire/ -- Meritor, Inc. (NYSE: MTOR) today announced it has been contracted to supply all-electric drivetrain systems under its Blue Horizon technology brand for 38 terminal tractors for use at Port of Long Beach and the Port of Oakland, California. PITTSBURGH, April 24, 2019 /PRNewswire/ -- Global safety equipment manufacturer MSA Safety Incorporated (NYSE: MSA) today reported results for the first quarter of 2019. VANCOUVER, April 24, 2019 /PRNewswire/ - Barrian Mining Corp. (the "Company") is pleased to announce that the Company completed its initial public offering ("IPO") of 13,362,000 common shares of the Company ("Shares") at a price of $0.20 per Share for aggregate gross proceeds of $2,672,400. The Shares were listed on April 24, 2019 on the TSX Venture Exchange (the "Exchange") and are expected to commence trading on the Exchange on or about Monday, April 29, 2019 under the trading symbol "BARI". CHICAGO, April 24, 2019 /PRNewswire/ -- W.W. Grainger, Inc. (NYSE: GWW) announced today that its board of directors approved a quarterly cash dividend of $1.44 per share, an increase of 6 percent from the dividend paid in March 2019. The dividend is payable on June 1, 2019, to shareholders of record on May 13, 2019. Grainger has delivered 48 consecutive years of increased dividends. CARY, N.C., April 24, 2019 /PRNewswire/ -- Whether manufacturing engineered stainless steel for medical implants or creating the specialty wire for solar panels, Ulbrich Stainless Steel & Specialty Metals knows its customers count on consistently high-quality products. Staying ahead of maintenance and production challenges that keep precision metals rolling out of its plants on time is a high priority for the global company. That's why Ulbrich recently chose SAS(®) Analytics for IoT to analyze the data created by its plant sensors. JINJIANG, China, April 24, 2019 /PRNewswire/ -- China Ceramics Co., Ltd. (NASDAQ Capital Market: CCCL) ("China Ceramics" or the "Company"), a leading Chinese manufacturer of ceramic tiles used for exterior siding and for interior flooring and design in residential and commercial buildings, today announced it will conduct a conference call at 8:00 am Eastern Time on Tuesday, April 30, 2019, to discuss its second half and full year financial results for its fiscal year ended December 31, 2018. VANCOUVER, April 24, 2019 /CNW/ - Defense Metals Corp. ("Defense Metals" or the "Company") (TSX-V: DEFN/ DFMTF: OTCQB / 35D: FSE) is pleased to announce Mr. Craig Taylor and Mr. Ryan Cheung will be resuming the roles as Chief Executive Officer and Chief Financial Officer. SUDBURY, ON, April 24, 2019 /CNW/ - Frontier Lithium Inc. (TSX.V: FL) (the "Company" or "Frontier") is pleased to announce that it has entered into a strategic partnership agreement with XPS Expert Process Solutions ("XPS") a Glencore company, and Dr. Ahmad Ghahreman, a Queen's University Professor, to develop a process to refine spodumene concentrate into lithium hydroxide. The partnership reflects Frontier's commitment to lay the foundation for a regional, vertically integrated Battery Ecosystem energizing Ontario's drive to prosperity. 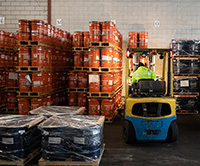 DETROIT, April 24, 2019 /PRNewswire/ -- Stratview Research announces the launch of a new market research report on Aircraft Seals Market by Aircraft Type (Commercial Aircraft, Regional Aircraft, General Aviation, Helicopter, and Military Aircraft), by Application Type (Engine, Airframe, Interior, Flight Control Surfaces, Landing Gear, Wheels & Brakes, and Others), by Motion Type (Static Seals and Dynamic Seals), by Function Type (Aerodynamic Surface Seals, Air and Fluid Handling Seals, Fire Seals, Conductive Seals, Insulative Seals, and Others), by Material Type (Polymer Seals, Metal Seals, and Composite Seals), and by Region (North America, Europe, Asia-Pacific, and Rest of the World), Trend, Forecast, Competitive Analysis, and Growth Opportunity: 2019-2024. The flash update was sent to subscribers around 1pm eastern time. The 5-page update was published and emailed to subscribers Tuesday night. The 24-page premium update was published and emailed to subscribers early Sunday AM. In the update we cover the near-term outlook for the sector. In addition, we provide updated comments on each of our holdings, as well as on the companies on our watch list. The flash update was published and emailed to subscribers before 3pm eastern time.